Well this is something. What a nice dude. And totally puts some pressure on Nintendo to act. Nintendo would be doing right by the fans to take his offer. Just read it and make your edits Nintendo. I don't even care about this game/series but I'm willing to given the opportunity! This is the kind of thing that I feel like Nintendo would never go for, but it's hard to understand why. Now that GBA will be on Virtual Console they'd have a perfect way to distribute it. PS. The title of this thread confused me, I would put it in the active voice for clarity's sake. The problem is that more than just the text would need to be edited. The Magypsies are definitely not something NOA would want to be in the game, and probably some other content that I'm forgetting as well. 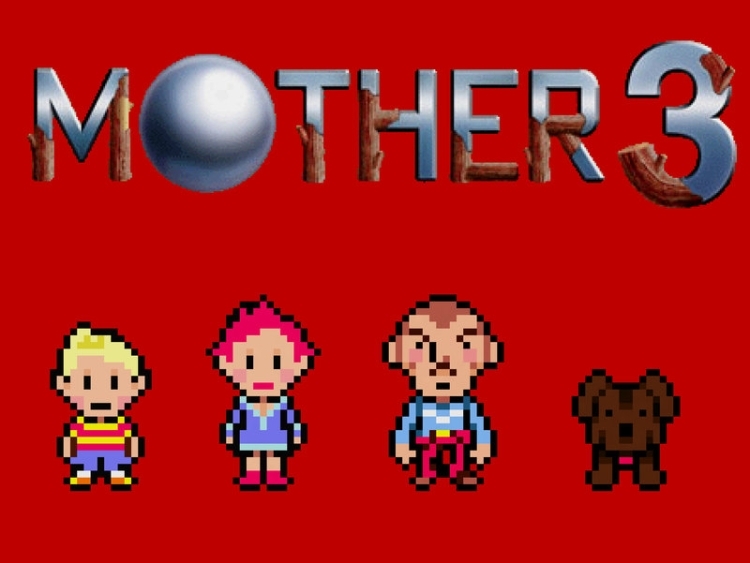 this might be dumb of me to ask but I don't think I've ever gone to find out....what/where the hell is Mother 1 if Earthbound is Mother 2? 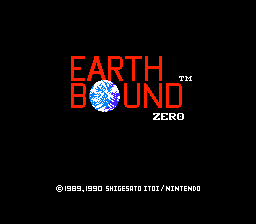 Nintendo of America translated and planned to release the first Mother game in North America under the title Earth Bound. Although the game's localization and translation was finished a year earlier, the game was ultimately deemed unprofitable for a fall 1991 North American release, and the planned release was canceled after the game had already been translated and all packaging and advertising was ready. It was confirmed by former Nintendo employee Phil Sandhop that Nintendo chose not to release Earth Bound in North America because the Super Nintendo was to be released at the same time, and Nintendo thought that customers would be less likely to notice a new NES game in light of the release of the new Super NES console and its games. Furthermore, the cost of releasing the game with the extensive manual and hint book planned would have not been economical without significant sales. All of Sandhop's changes to Mother appear in the Game Boy Advance games Mother 1+2, such as the B Button run command. The reason for these changes appearing, according to Sandhop, is that "with games produced by NCL, the development teams continued to work and tweak their projects that they knew would be localized and produced in other territories. Often they would address their own desires that were not completed due to time constraints or not completed to their satisfaction and also address issues raised by Japanese consumers as that release hits the street." Edit: Well, what do you know? I was kidding and it turns out I was right!!! ... Says the person with Birdo as an avatar. The Magypsies could make it in unscathed if they gave the game a T rating. Truthfully, they aren't man OR woman, right? I'm sure if that's a problem, they can write around it. It's too bad that Nintendo probably wouldn't take this offer because his translation is VERY, VERY good. I actually think I enjoyed Mother 3 more than EB. Depends on the day though. In any case, I don't think the rating is the problem, content like this doesn't really exist when it comes to Nintendo games in North America, or at least not recently. For example, when they published Dragon Quest VI which got a T rating, they still removed the references to "Puff-Puff" changing it to "Patty Cake." And this is something quite a bit more obscure than the Magypsies' appearance. I also remembered something else to which NOA would probably object: the "oxygen machines." NOA would have a problem with the Magypsies based on what? What is it that you guys seem to know about their policies that I don't? But didn't Dragon Quest VIII and IX have puff-puffs? Weird. Does Nintendo really still censor, though? Considering how much innuendo and rough language is in Fire Emblem Awakening--another 1st-party game--I think I can see Mother 3's content getting by with a T rating. I guess they might think that swearing is different than the super-flamboyant Magypsies/oxygen machines, but I doubt the people who'd be offended by all that would even get some niche RPG sequel on the eShop. Being a remarkably obscure series to casual gamers, I think it'd slip comfortably under the radar. That is...completely generous on the translator's part. Seriously Nintendo...why not? I honestly have no idea why everyone is making such a big deal out of this. If there is a reason Mother 3 hasn't been localized, it sure as heck isn't because no one at Nintendo can translate Japanese to English. And this wouldn't be a time or (much) money-saving measure because no (decent) company would release a translation without an employee (who you pay) to go through it with a fine-toothed comb to check their work. Lastly, sure this guy has done professional work, but why is everyone so amazed that this offer is free? If he wanted money, it would be like those folks who clean your windshield in big cities and then ask for money. No one requested the work, so why would they have to pay for it? Can it hurt the chances of an official Western release? Hell, no. Do I hope this game gets an official Western release? Of course I do. Not for me, really, but for the thousands of rabid fans. But does this really change the situation? Unfortunately, I don't think. Does it change the situation so much as to create a "your move, Nintendo!" scenario? Not even close, and even Mr. Tomato seems to know that. @Wellsy529 I played a bit of Mother 1 on emulator. Probably some fan crack / translation? I don't really get into emulation though so I only made it like 15 minutes into the game. @Jargon It's hard to understand why? I think it is easy to understand why, "professional" companies have their own channels for doing business, they don't just take random offers from random people who walk in off the street. And when they do, like with Capcom and their recent Mega Man "fan-made" games, it kind of looks like laziness on the side of the professional company for having to turn to that channel instead of doing it the "professional" way. @NinSage I think it is doing exactly what he (probably) intended it to do though, which is to get a bunch of media sources talking about it, and that does put a bit of pressure on Nintendo. I'm sure he knows that there is a snowball's chance of his translation being used, but that probably wasn't his true (or at least full) intention. I reeaaally can't think of a downside to accepting this offer--it's free, they've got the publicity w/ the long-awaited release of the game's predecessor FINALLY hitting the VC... and I kinda think it sends a positive message to indie developers, in a way, with how open and free Nintendo is, as a company, with communicating to fans and those just trying to see a game's release. How is it unprofessional to hire an independent contractor to work on a one-time project? Companies do it all the time. The guy is a professional translator, not just someone off the street. If they were to hire him or another professional translator and pay him to do the job, no one would question it whatsoever or even realize that it happened. I don't see how removing compensation from that perfectly standard picture would change anything in the slightest. I also think you're underestimating the good press Nintendo would get for being flexible in order to appease fans. But let's assume that they would look unprofessional amongst the small amount of people who would even know what happened. In what way would that hurt them? Do you honestly think it would affect sales of other games or their stock price or anything tangible whatsoever? Using a real example, do you think Capcom will somehow be hurt by re-appropriating these fan-made games? Admittedly, we know very little about what goes into Nintendo's decision making for releasing games on Virtual Console. GBA Virtual Console doesn't even exist yet so maybe they're planning on releasing it anyway, using their own translation. Perhaps they'll only do if Earthbound sells well. Whatever the case they're going to weigh the decision of whether sales of the game will justify the cost of localizing the game, testing it and distributing it online. What I'm getting at is that you can imagine a situation where Nintendo not having to use their own employees or pay an independent contractor would tip the scales towards releasing the game in the US. If that was the case, I do not understand why they would choose "looking professional" over making money. @NinSage You know, for multiple paragraphs, that sure was an extremely vague explanation of why you think what you think.